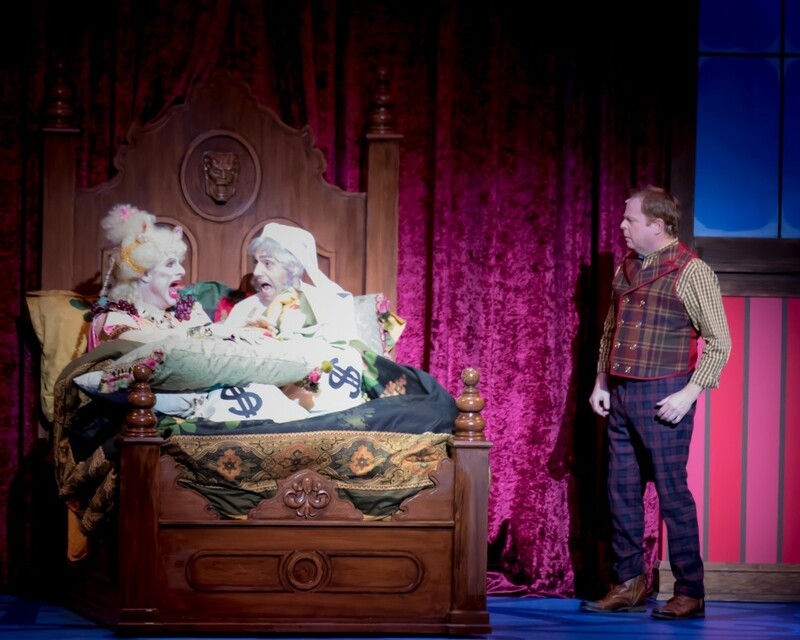 Dan Chameroy as Plumbum (left), Cyrus Lane as Ebenezer Scrooge (centre) and Eddie Glenn as Bob Cratchet (right) star in the outrageously funny holiday musical spectacle, A Christmas Carol, on stage until December 31, 2017. Walking into Hart House Theatre for The 25th Annual Putnam County Spelling Bee strangely felt like being 10 years old again. Was it the composition of the audience or the fact the musical comedy about the nerve wracking experience of adolescent competition was indeed happening in an educational space? Conceived by Rebecca Feldman and written by Rachel Sheinkin, this hilarious event involving six middle-schoolers eyeing the winner-takes-all trophy to advice to the County finals is a laugh-out-loud metaphor for what’s awaiting higher-education cast soon stepping into corporate hallways for to prove their own self-worth. From Logainne Schwartzandgrubenierre (Erin Humphrey) who vies for the approval of her gay fathers and is pro-choice “despite being a virgin,” to Leaf Coneybear (Kevin Forster whose family constantly tells him he’s stupid, each student has a different reason to walk away the winner. The play debuted on Broadway in 2005 and sold out with rave reviews from the majority of its critics. You wouldn’t normally expect a play entirely about a middle school spelling buzz this BEEautifully. However, in between the awkward pubescent moments, such as Chip Tolentino’s (John Walmsley) “unfortunate erection,” were deeper themes of insecurity relatable even to those beyond middle school years. Especially poignant was t-shirt and flowery skirted Olive Ostrovsky’s (Vanessa Campbell) performance toward the end of the play as she sang “The I Love You Song.” Her powerful vocals tugged at heartstrings as she yearned for her parents’ love. The cast as a whole adopted their roles with ease. Among these was Hugh Richie who played the foot sliding spelling phenom William Barfée and Amy Swift who a lovable job Rona Lisa Peretti, an ex-champion of the Bee, from the second she walked on stage with her overenthusiastic gait and slicked back bun to her inconspicuous romance with the vice principal Douglas Panch.